Sometimes it’s a new path, sometimes it’s an old one. Here’s a very personal, Gen Z, view of shopping that underscores how fresh and new even long-term retail practices are to young consumers. Retailers that do not see their shopping experience through young eyes risk losing relevance, and growth opportunities. Meet Kaci, WSL’s summer intern from Dallas, Texas. She’s a soon-to-be college graduate straddling two worlds of retail. In one world are all the elements Kaci seeks as a young consumer: one-of-a-kind finds; surprise amenities; the thrill of the hunt. The other retail world is familiar to many people regardless of age – one that caters to need, experience, ease, and value. The shopping attitudes of this young shopper (and many of her Gen Z cohorts in their late teens early twenties) underscore the freshness of her view of retail, which is still unfolding. 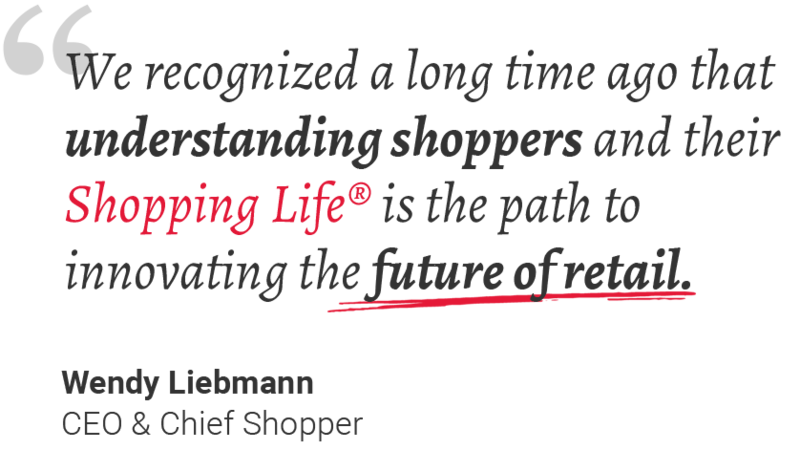 In fact, many of the retail elements important to her are also important to older shoppers. The key difference is that it's all novel to Kaci and her friends – something we suspect some merchants and marketers lose sight of. And, in doing so, miss opportunities such newness presents. Consider just these two facts: Unlike their older cohorts, far more Gen Z shoppers – 57%– will spontaneously buy whatever they need regardless of the store, according to our How America Shops® Report, “Benchmarking the Future.” Amongst Gen X and Boomers, the figure is closer to 40%. Gen Z shoppers are more open minded as to where they shop but they also are more likely to change their minds about what they bought in-store, (even if they had decided what they wanted beforehand). About 35% of younger shoppers change their mind compared with 26% and 19% of Gen X and Boomers respectively. Here are some of Kaci’s perspectives on where and why she likes to shop and the experiences that mean most to her. It’s a very personal, but very relevant snapshot of what a younger shopper wants. While Kaci is special to us she’s not that unique as we continue to see in our How America Shops® studies. Help the shopper see new ways to use typical items. Kaci spoke often of the treasure hunt, which can exist in expected as well as the unexpected places. It’s a matter if adding surprise elements. Talented store employees can present products in ways that break free of typical pairings. These displays will tap into the shopper’s creative vein and elevate the experience into an adventure. Talk to her like a person. Stop selling. Digital natives (young shoppers) have been deciphering marketing pitches since before they could read. Tell them about your products in clear, honest terms so they feel empowered to make their own decisions, not have them made for them. Encourage community. From the Middle Eastern marketplaces of old, shopping has been a social experience. Music, unexpected bites to eat, craft classes and entertainment all complement the trip. They may not always have time to indulge in a cup of Americano or song, but they’ll know it’s there. And that is enough to get the shopper to come back, as Kaci put it, for the moments. For more How America Shops® data and insights on how Gen Z shops give us a buzz.